Taela Naomi is known for seamlessly mixing music from different genres and eras in creative, unexpected ways. Her love for a large variety of music makes Taela stand out as a rare DJ chameleon who can read any crowd and get them to sway and sweat. Born and raised in Brooklyn, NY, Taela has also lived in Melbourne, Australia. 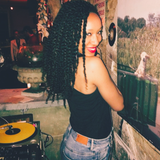 With experience DJing at NYC hotspots including The Griffin, Katra, Greenhouse, Parlor, Pianos, Ainsworth, Ginny&apos;s Supper Club (Red Rooster), and more, Taela Naomi is quickly becoming a sought after DJ for dance parties, lounges, and special events everywhere. 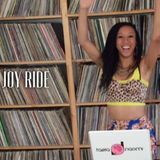 Taela was recently featured as a guest DJ in Miami for the Winter Music Conference. With an impermeable focus and authentic love of music, Taela&apos;s charismatic presence is felt wherever she spins. She always brings her sunshine-bright attitude and elegance to her events. 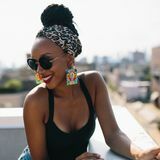 Her mission is to uplift, unite, and connect people through music.